Cesar Sayoc's lawyers decide not to seek bail after prosecutors released a letter outlining more evidence against him. 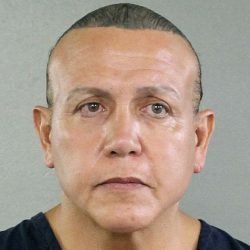 Sayoc is accused of sending 15 improvised explosive devices to numerous Democrats, Trump critics and media outlets. He was arrested a week ago outside a South Florida auto parts store in a white van in which he had been living, a vehicle covered with stickers of Trump and showing images of some of the president’s opponents with red crosshairs over their faces. Sayoc’s lawyers decided not to seek release on bail after prosecutors released a letter outlining more evidence against him, including DNA linking him to 10 of the explosive devices and fingerprints on two of them. Benjamin, however, said the prosecution letter does not prove anything yet. He noted that it refers to “possible” DNA matches to Sayoc.